Specialization in Out-OfThe-Box development. Have created applications for SharePoint Online/*****/2007 ranging from sites with over 50 content types and 41 workflows to process all customer interaction and act as ERP for manufacturing facilities, helpdesk ticketing systems, document handling processes, and multiple approval workflow scenarios as well as Intranet, brochure, document management, and Intranet sites. Cloud/ Office 365 Collaboration Architect: Design, implement & migrate collaboration solutions to utilize the full range of application and service offerings of the Office 365 ecosphere to promote and energize business process utilizing SharePoint, Groups, Flow, PowerApps, Planner, Teams and To-Do. SharePoint Architect ( *****013/ 2016 / Online): Design and migration to Hybrid and Office 365 environments. Design SharePoint site collection architecture for Publishing sites, Enterprise Wikis & Team Sites. Skilled at utilizing portal as well CMS implementation focuses. Experienced with design, configuration and execution of Term Stores, site taxonomies, Search, & workflows. Integrating existing processes with Flow and Power Apps. SharePoint Developer ( ***** / 2013 / 2016 / Online): Implementation of architectural designs and branding. 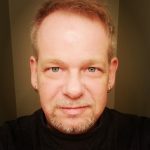 Experienced with design, deployment and configuration of templates, custom lists, custom content types, custom and site columns, Master Pages, Layouts and web part customization. SharePoint Analyst ( ***** / 2013 / 2016/ Online): Capture stories and use cases for utilization in process improvement. Educate and support clients in their use. Flow/ Workflow Designer ( ***** / 2013): Capture data using browsers, users, forms, processes, REST, and other sources to develop process and content management tools. 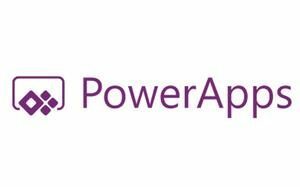 PowerApps/InfoPath/Forms Developer: Solve process management, reporting and application needs using SharePoint, Office 365 for mobile and browser utilizing InfoPath and PowerApps. 9A to 5P EST on Friday. Other arrangements can be made for other times.